The competition to win a limited edition copy of Wild Creations artists Rosy Tin Teacaddy’s new album All Mountains are Men is closed. Jack van Hal, from Hillsborough in Christchurch, is our winner. Congratulations! 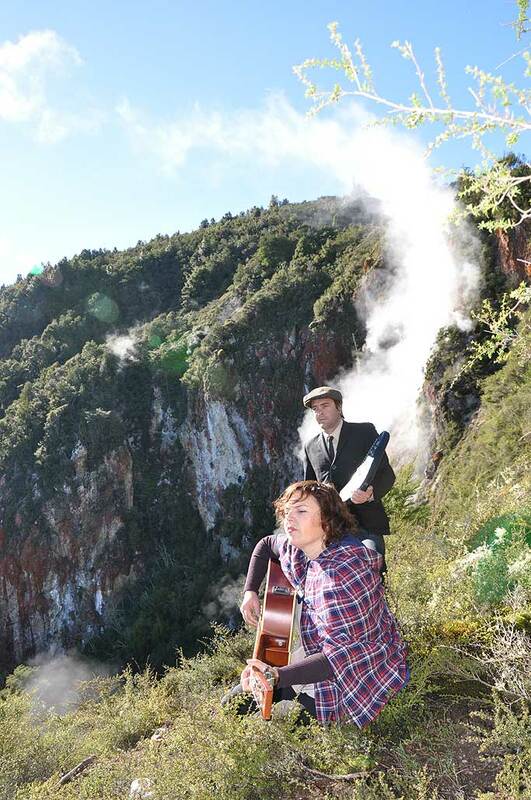 Rosy Tin Teacaddy’s album All Mountains are Men is a national treasure, and we have a numbered limited edition CD to give away. But more on that later. First I’ll try to explain why I’m sounding like such a tragic fanboy. It’s partly a pride thing. The whole album was written and recorded in an isolated DOC cottage beside Lake Tarawera while the ’Caddies were on a Wild Creations artists’ residency so, in some small and frankly delusory way, I feel I contributed. And the whole Bon Iver, lonely-cabin-in-the-woods vibe doesn’t hurt. 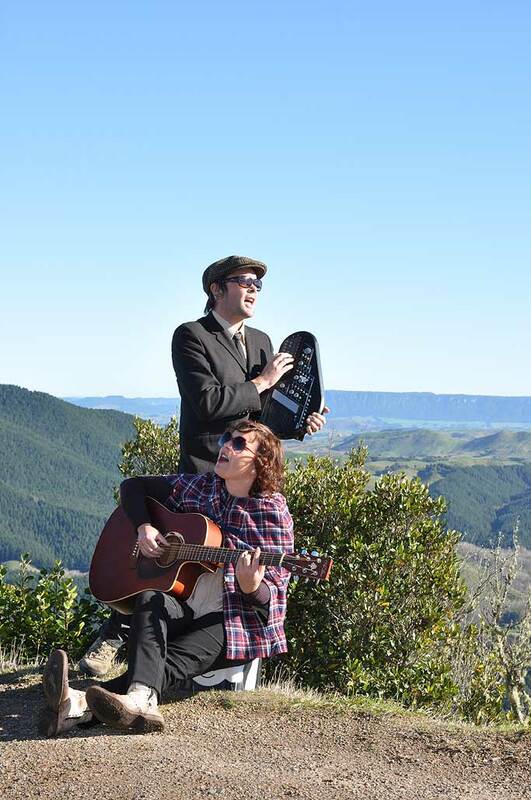 Then there’s the way New Zealand past and present seems to have been captured in miniature in the songs. Released on the 125th anniversary of the eruption of Mt Tarawera, the record rings with echoes of the explosion that buried Te Wairoa and engulfed the Pink and White Terraces, the “Eighth Wonder of the World”. Lake and mountain flirt shamelessly, the local telegraph master stays at his post to report the disaster as ash rains down and dead men turn up at their own funerals. None of this would mean diddly if the songs hadn’t lodged themselves in my subconscious ever since a colleague played me the demos. Apart from the title track, the songs I keep coming back to are a lament to the lost Pink and White Terraces called Beauty, My Dear, domestic-scene-with-disaster Out of the Frying Pan into Fire, and Telegrams and Ashes, which documents the eruption in staccato telegraphese. The songs are mysterious and evocative, mythic and everyday, funny and sad, richly melodic and wrapped in beautiful harmonies. What Gillian Welch and David Rawlings do for Americana, RTT do for New Zealand’s songwriting traditions. Check out All Mountains are Men on Bandcamp.